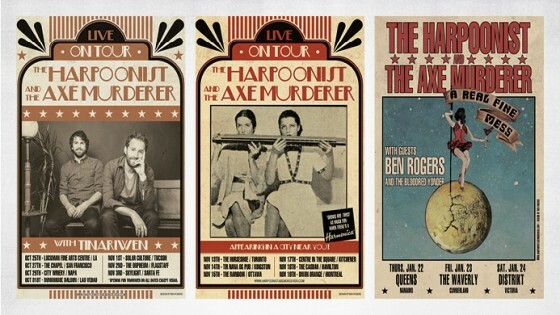 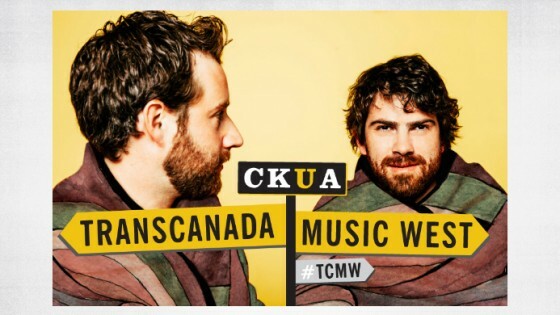 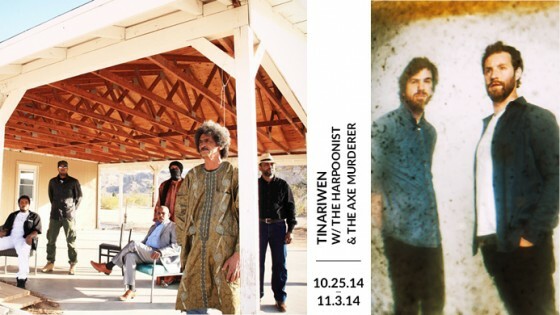 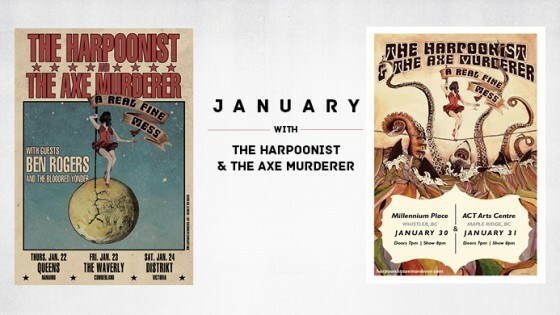 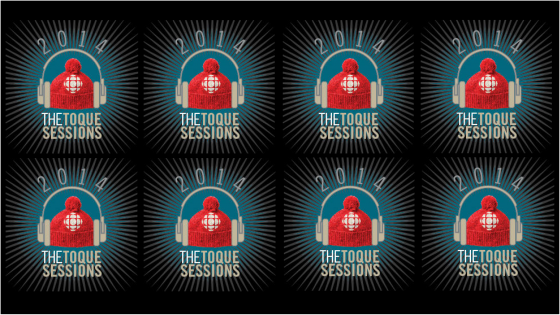 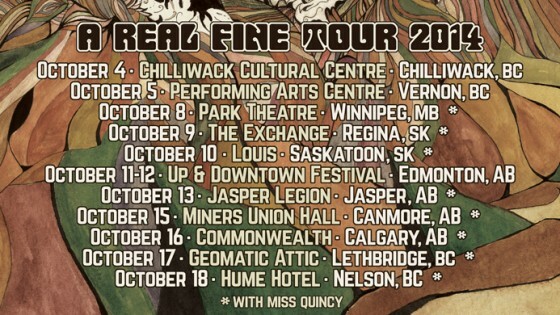 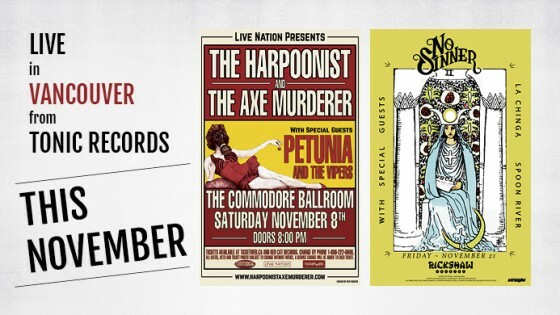 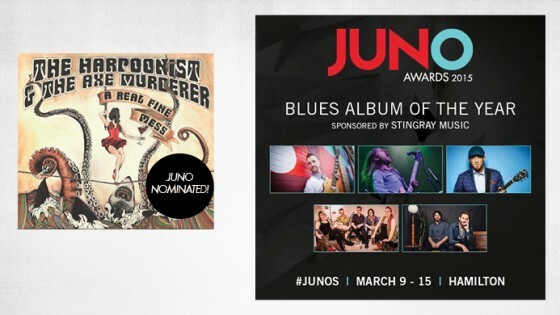 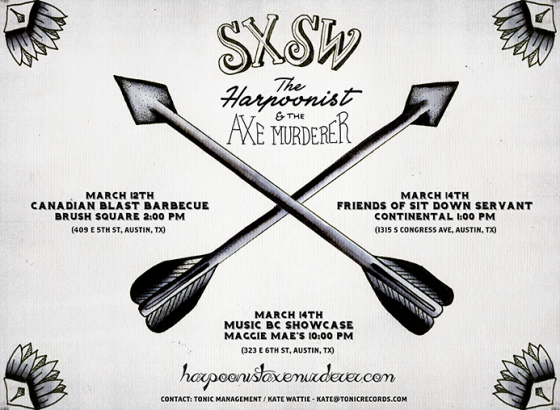 The Harpoonist & The Axe Murderer head north in BC this February. 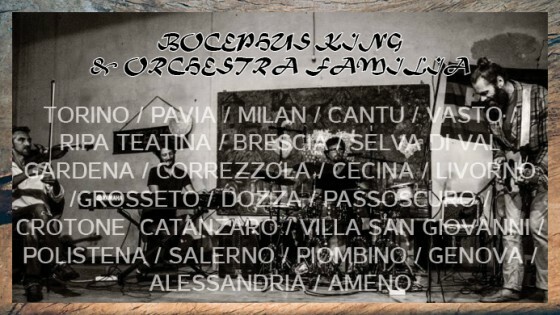 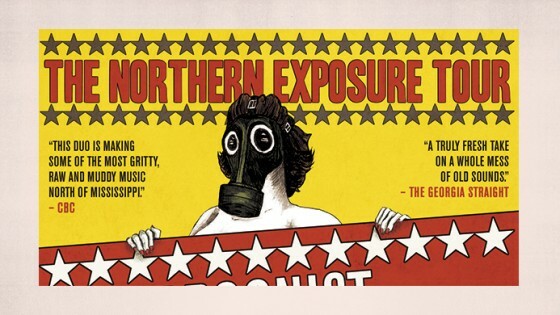 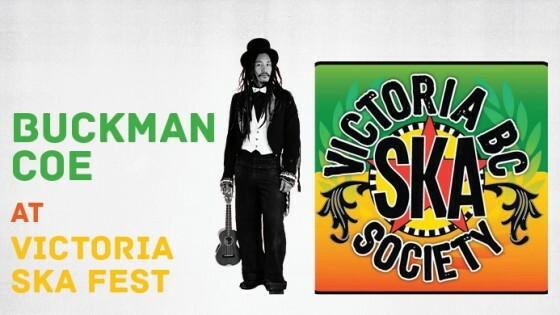 Catch them on their Northern Exposure Tour at a town near you! 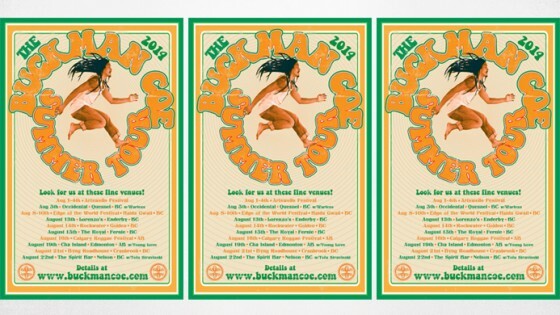 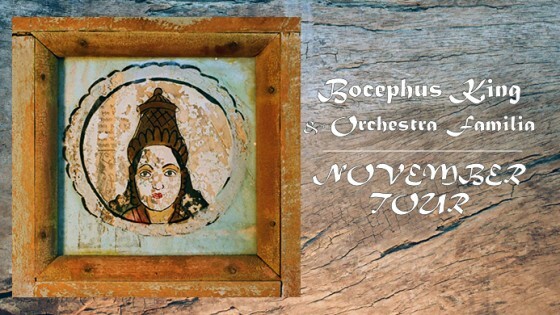 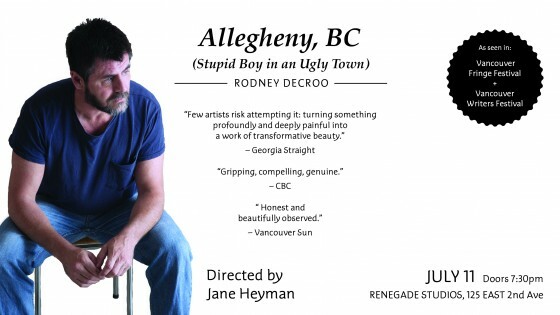 Poster design by Ben Rogers. 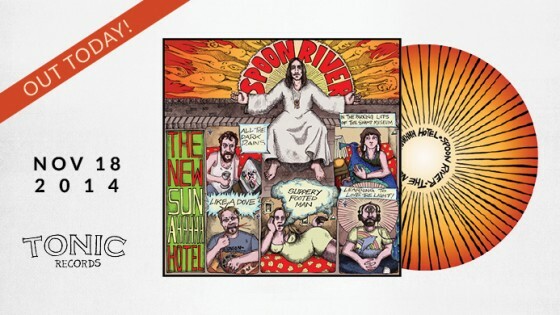 The New Sun AHHHHH Hotel by Spoon River Out Today! 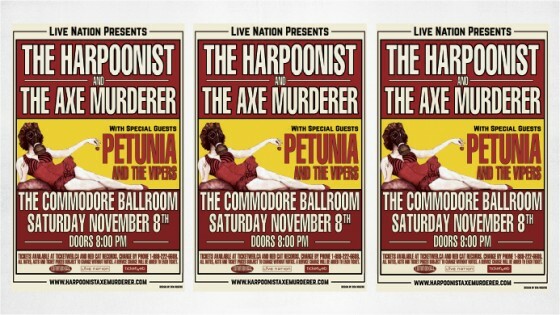 October tour announcement for HarpAxe!